Samsung will Officially be unveiled it new Smartphone Galaxy S9 and Galaxy S9 Plus on February 25 in Barcelona. For further details, looks at the Specification, Price, Image of the new flagship. As per the leaks around Specification, price, and most of the important features came to known. 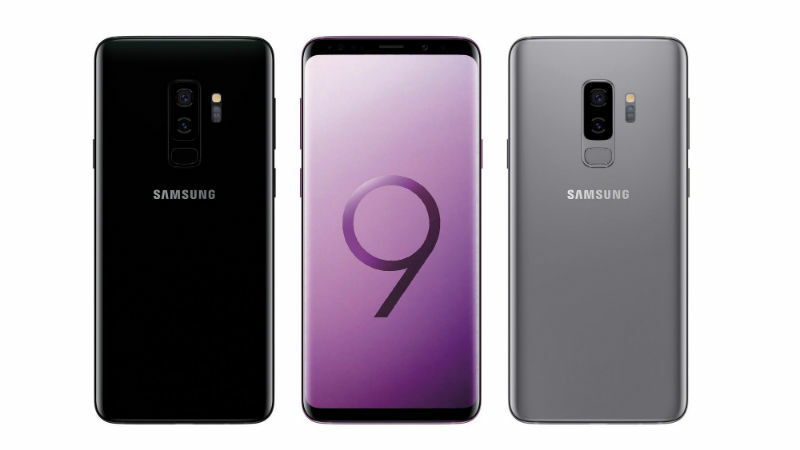 The Samsung Galaxy S9 and S9 Plus are expected to more expensive than the previous year model Samsung Galaxy S8 series. As from the report, the changes which make S9 different is expected on the front camera and Samsung's own teasers have indicated as well. The design part is as same as Samsung Galaxy S8, Note8, S7, etc. In Samsung Galaxy 9 Series introduces a new Version of the Dex Pad, When the User plug-in the device and enjoy a desktop experience on the mobile itself. The Samsung Galaxy S9 and S9 plus have the same metal and glass design has usual. The Phone has infinity Display 18:5:9 aspect ratio, which is bezel-less on both sides and narrow bezels on the top and bottom. The Samsung S9 will have 5.8-inch QHD+ resolution and also SAMOLED display type, while in S9+ will have a 6.2-inches. The Galaxy S9 have 4GB RAM and Galaxy S9 Plus have 6GB RAM. Both the smartphone will be powered by Exynos 9810 octa-core processor. But in US Galaxy S9 series will be powered by the latest Qualcomm Snapdragon 845 processor. Galaxy S9 and Galaxy S9+ will have 64GB internal storage and the microSD card can support upto 400GB. Some leaks has also told that Samsung Galaxy S9 could launch in 512GB Variant but this could not possible may be. Looking at the cameras Samsung is expected to make some changes on both the phones. The dual rear cameras as usual in S9+. The Galaxy S9 will have a 12MP rear camera will dual apertures: f/1.5 and f/2.4 for improvement in low light. The Samsung Galaxy S9+ comes will 12MP+12MP dual cameras on the back, Front 8MP and also sensor. Galaxy S9 will have 3000mAh battery backup and Galaxy S9+ have 3500mAh battery backup. Both the Phone Samsung S9 and S9+ will runs on Oreo 8.0 operating system. 3D style Animojis are expected on Galaxy S9 series. Both the smartphones go to on Sale at mid-march. The Indian Markets takes a month after the launched, so we can expected to launch in india on April. As for the pricing, UK-based TechRadar £739, which is nearly Rs. 67,000 indian rupee. We can expect galaxy S9 and S9+ to slightly higher in india when it launched.